Crews from Animas Valley Construction work on the sidewalks along Arroyo Drive behind Needham Elementary School in November. The next phase of sidewalk construction has received a $350,000 Safe Routes to School grant. Sidewalk construction that will make walking to Needham Elementary safer recently got a boost from a federal grant. 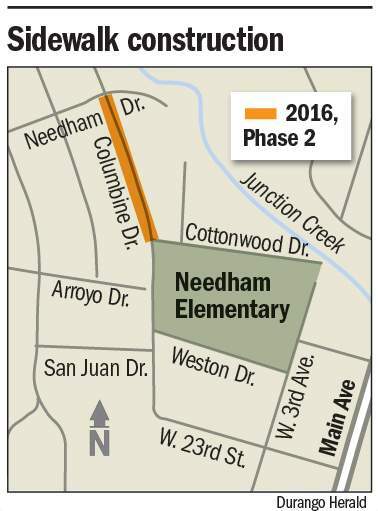 The $350,000 Safe Routes to School grant will help build sidewalks along both sides of Columbine Drive from Cottonwood Drive to Needham Drive. It will be an extension of an ongoing project. The project will include 1,500 linear feet of sidewalk and landscape buffers. It is estimated to cost $506,000 and will require $156,000 of city funding. This is the second round of federal money for sidewalks near the school, and the city’s bike education programs to encourage use of the new routes helped elevate the city’s application, said Amber Blake, director of transportation and sustainability. “Our tallies are showing increases in ridership,” she said. She did not have firm numbers to release because the tallies of students riding bikes and walking were done informally. 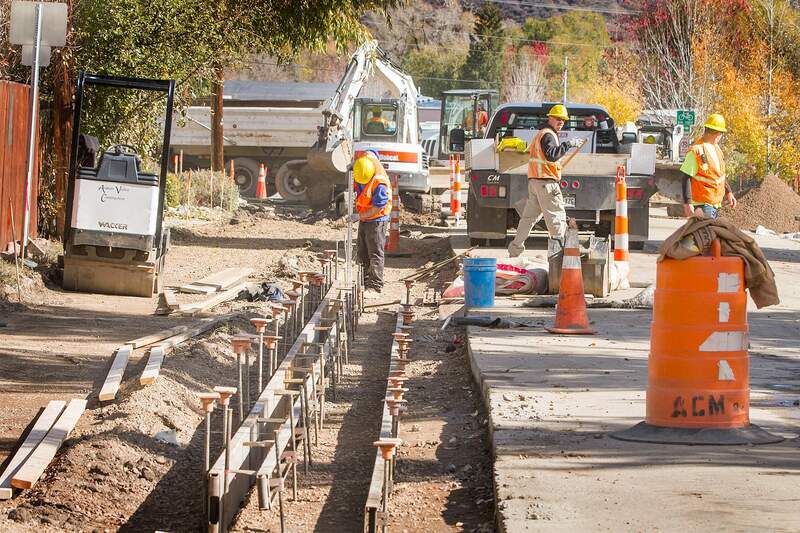 In the first phase of construction, crews are replacing and widening sidewalks along Arroyo, Columbine and Cottonwood drives. The work started in September, and the city plans to finish this summer before school starts, Blake said. The city received $292,000 for Safe Routes to School to fund the first phase, which is expected to cost $430,000. The city staff increased its request for the second phase after learning through the first project that its estimates were low. “We wanted to make sure we were requesting enough money,” Blake said. Design work for the sidewalks and landscaping along Columbine will start in 2017; once the project is complete, it should help with traffic speed. “It will help us slow traffic because it narrows the travel lane,” she said. The final phase of the project will extend to along Columbine Drive to Clovis Drive. The city plans to improve sidewalks around Riverview and Park elementary schools in the future. “Our goal is to be able to work with each of the schools and hopefully be successful in obtaining Safe Routes to School funding, so we can improve student accessibility,” Blake said.